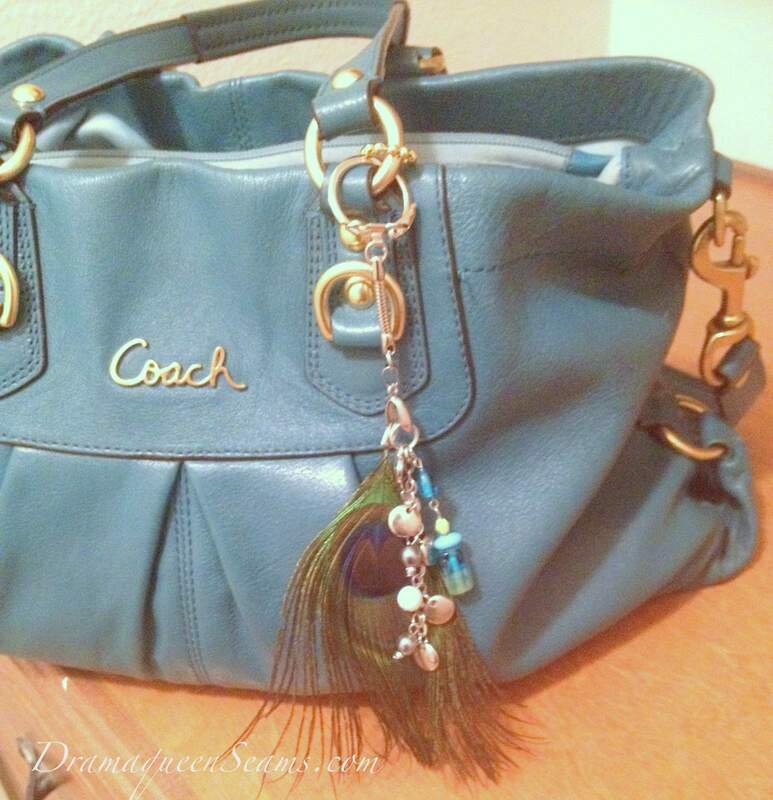 Purse charms are a must in my eyes. It adds a nice element as well as something fun to your purse. Just a few supplies are all that’s needed to make one. 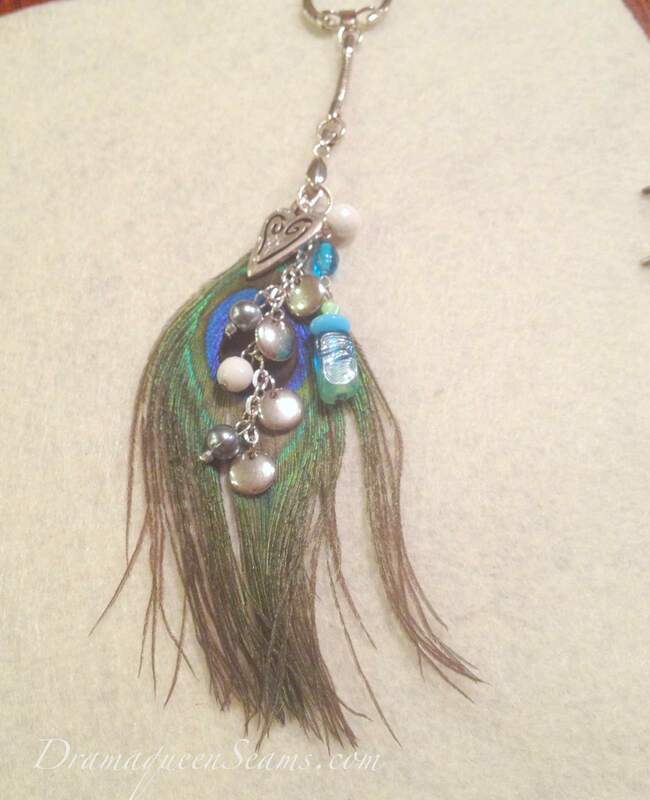 I like to use old or broken earrings, charms, and beads. 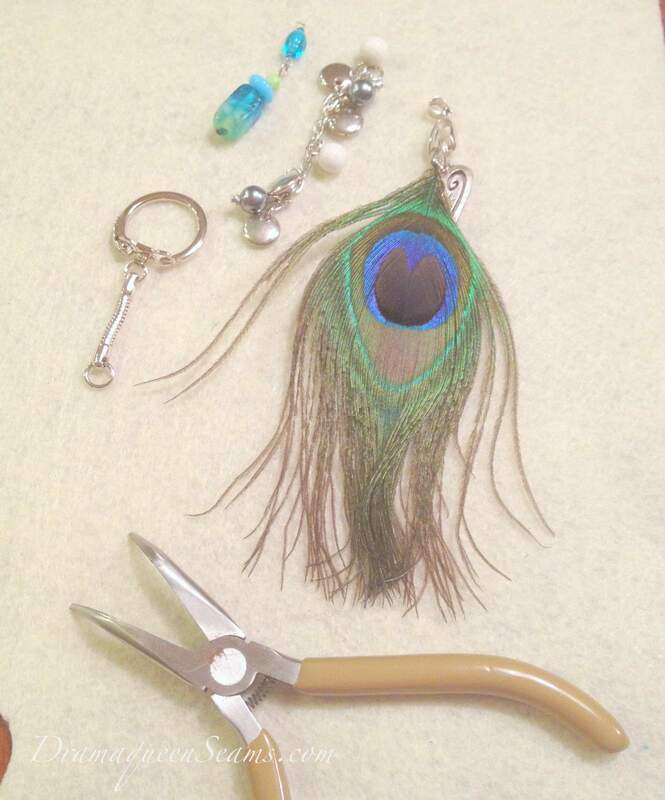 You will also need a key chain fob, a few jump rings and some jewelry pliers. Hook them all together onto a large jump ring and place onto the key fob. 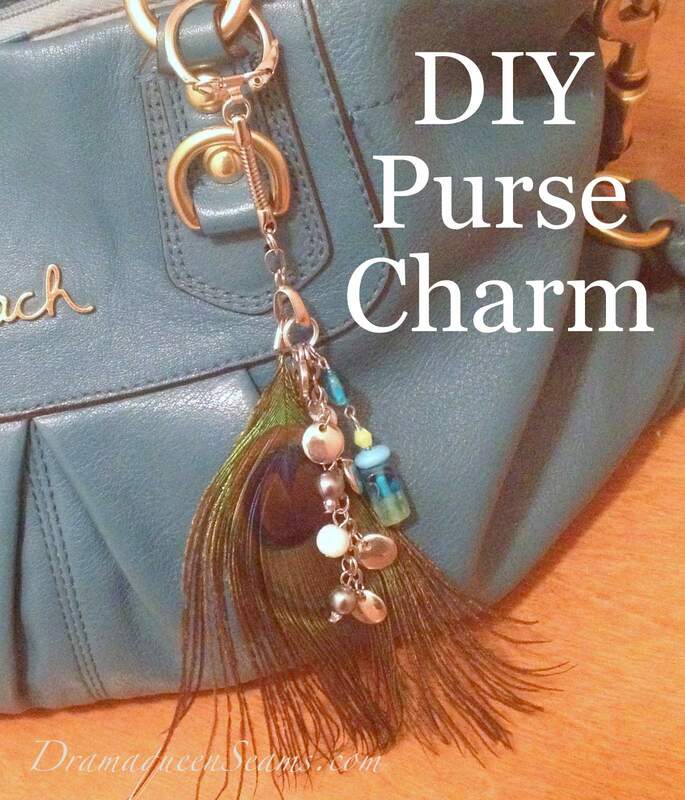 Hope you like this purse charm and maybe even try to make one to hang onto your own handbag. 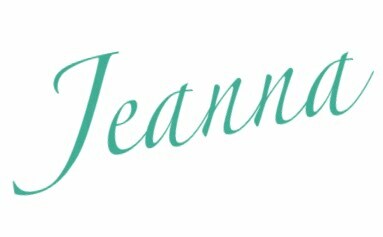 Don’t forget to check out my other posts from my 31 days of creativity plus you can follow me on Twitter, Facebook, or Pintrest. This is awesome! Love the peacock feather.